The Ewing Advantage Resource Network (EARN) connects loyal Ewing customers like you with companies who provide discounted products and business services designed to protect, enhance and more efficiently operate your businesses. As an EARN member, you also gain access to other valuable Ewing Advantages, such as automatic volume-purchase discounts, job tracking information, express will call, year-end cash rebates and more. How can I take advantage of EARN discounts? All Ewing Cash Card or Charge Account customers can freely access discounted business services and products from participating EARN service provider partners; simply register your account online. by logging in you agree to these terms and conditions. Don't have a Ewing account number? Sign up for a Cash Card or Charge Account today, and register your account online to gain access to EARN discounts. EARN members receive a free credit card terminal and a $50 Visa gift card*. *See official offer for details. Ewing EARN partners save 25 percent off Paychex Payroll processing and HR services set-up fees. EARN members receive an average discount of 65 percent on office related items negotiated by Ewing on your behalf at EVOS. EARN affiliates gain access to insurance rates at the most competitive price. Ewing EARN members receive $200 worth of Ewing Dollars when you buy a Ditch Witch®. C12, C14, C16, C16X, C24X, C30X, RT45, RT55, 100sx, 410sx, SK752, SK850, or Zahn® R300. EARN affiliates receive 15-35 percent off promotional products and branded apparel. Ewing EARN partners receive a $1/per card fee for Persona MAX (regularly $2.95 per card). Ewing EARN partners receive a $3/per card fee for the Everything Card (regularly $3.95 per card). Online property measurement for green industry contractors. EARN members recive a 10% discount on Go iLawn prepaid packages. Field service management software used to manage your business and eliminate paperwork, from scheduling to invoicing. Ewing EARN partners receive a $200 discount off startup fee. As a participating EARN member, you save 25 percent off standard pricing. As a Ewing customer, you are entitled to one free month of VizTerra ($95 value). Is your company interested in becoming an EARN service provider partner? Does your company offer services that can help our customers save money or operate their businesses more efficiently? If so, your organization may qualify to become an EARN service provider partner. For more information, contact us at earn@ewingirrigation.com. Get even more out of your Ewing partnership by signing up for our Manufacturer Partners reward programs! 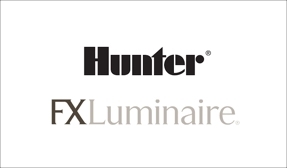 As an authorized Hunter® and FX Luminaire® distributor, EARN members can receive Points for purchases made at Ewing on Hunter and FX Luminaire products through the Hunter Preferred Program. 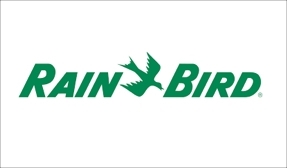 As an EARN member, you are entitled to take advantage of the benefits earned through the Rain Bird® Rewards Program and Ewing’s exclusive GreenBucks Program. The 2018 Contractor’s Choice Reward™ Program allows you to combine your purchases of both Toro® and Irritrol® irrigation products to maximize your rebate! 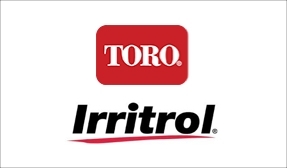 Take advantage of the only program where you can earn 4 percent CASH on your Toro and Irritrol irrigation purchases.